Zoe is devastated when she learns that the disease she has battled her entire life has robbed her of the chance to have a child of own, so when her step sister, Nadia – already a mother to three healthy, adorable children – offers to be a surrogate for Zoe and her husband Lachlan, Zoe is thrilled and determined to make it work. Three years later, Nadia places a newborn baby girl in her sister’s grateful arms but is she really prepared for the reality of letting the child, her daughter, go? 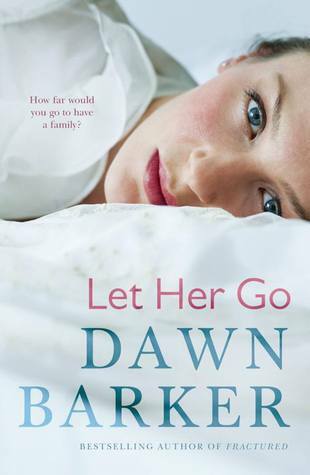 Examining the ethical issues surrounding altruistic surrogacy, and the complications that can affect such arrangements, Let Her Go, by Dawn Barker, is an absorbing and thought provoking novel. 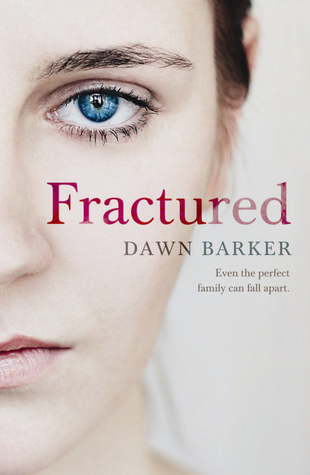 Barker’s characters are believable, ordinary people with familiar flaws and insecurities. My sympathies were torn between Zoe, desperate in her desire for a child, and Nadia, whose generous intentions are corrupted by an instinct she can’t control. The author portrays these two women, and their decisions and actions, with extraordinary sensitivity and compassion, acknowledging the complicated situation that extends beyond simple judgements. In including the narrative of seventeen year old Louisa, Barker adds another layer of perspective to the issue and exposes the hubris of judging what is in a child’s best interest. The author asks, what happens when the child’s best interest conflicts with our own ability to provide it? Other issues touched on in Let Her Go included mental illness, disability and domestic violence. These elements help to both flesh out the characters, and the motivations for the choices they make during the story. Part family drama, part psychological thriller, the pacing of Let Her Go is ideal, with shifting timelines drawing out the subtle, but ever present, suspense. I was never entirely sure how the story would unfold, constantly anticipating the unknown. A compelling, poignant novel about motherhood, family, loss and love, Let Her Go is a story that is hard to let go of. Surrogacy… it’s a minefield (but always makes for an interesting story). Have often wondered whether the US system (of paying a surrogate) is an easier arrangement – making it a ‘business’ transaction (which we all know it’s not, but it does put different rules in place). Here, having to have someone you ‘know’ as a surrogate changes the relationships of those people immediately and into the future.